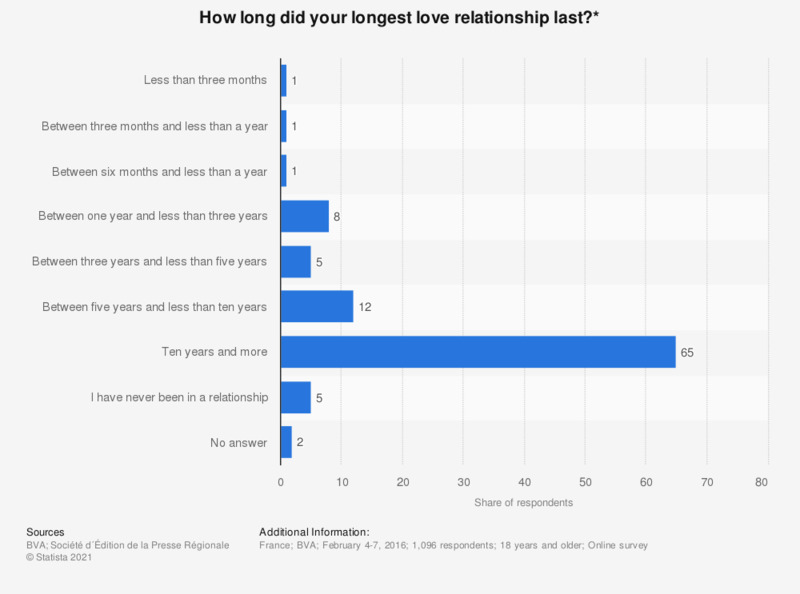 This statistic shows how long French people's longest relationship lasted as of 2016. This year, 65 percent of French people had their longest relationship lasting ten years or more. Love seems to be a popular topic in France, as more than 50 percent of young people living in France attribute a lot of importance to it. * This question was phrased by the source as follows: "Combien de temps a duré votre plus longue relation de couple ?"